Barbecues and Hog Roasts are the perfect way to celebrate an occasion. We understand the importance of serving delicious succulent meat as well as exciting salads, delicious dips and soft freshly baked breads. Whether you are looking for something traditional or a bit different and exciting we can develop a menu just for you. 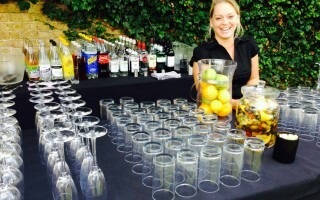 We can take all the worry away, providing everything on the day from equipment to serving staff. 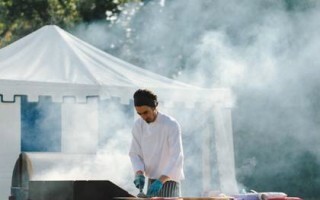 We can also offer fantastic canapé and dessert menus that are well suited to all kinds of barbecue and pig roast menus. Based in Oxfordshire we cater for barbecues and hog roasts across Oxfordshire, Buckinghamshire, Cotswolds and London, we are happy to travel further though, so please call us to discuss your event on 01865 400 341. Take a look at our sample barbecue menu here.